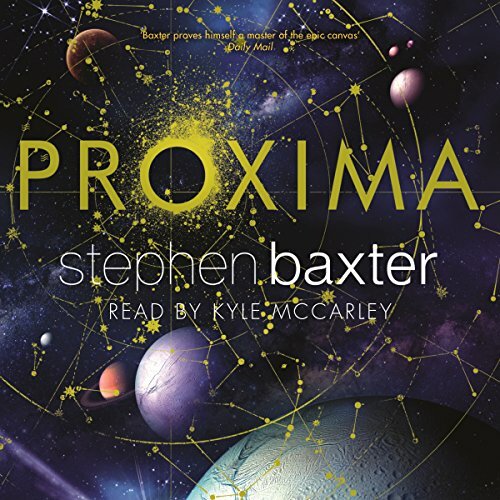 Yuri Jones, with 1,000 others, is about to find out... Proxima tells the amazing tale of how we colonise a harsh new eden, and the secret we find there that will change our role in the Universe for ever. At first i wasnt sure. Then it carried me away with its characters and i could not put it down! If the characters were not completely loathsome. If the plot didn't borrow from some of the dumber elements of "Lost". If anything remotely plausible or interesting happened. This was a HARD book to narrate. It called for maybe 25 different accents. Unfortunately Kyle McCarly wasn't good at any of them and narrated down his nose. I thought he was ok at the English and European voices "Ewen McGregor" for our protagonist but there are plenty of complaints from the Euros about THOSE accents. His Aw-sees and Hispanic characters were laughably bad. If you could play editor, what scene or scenes would you have cut from Proxima? Well lets see, the idea of sending prisoners to populate new planets was incredibly dumb. All of the dialogue was laughable. I am trying to think of a plot point that was remotely plausible or interesting but I can't. The scene where Mardeena describes herself as a "full blooded Aboriginal" is particularly offensive to Aboriginals. A good story spoiled by a petulant sounding narrator. Inspired writing, but the narration turned me off so much I returned the book after 6 chapters. His character voices where good but his usual voice came across as petulant, sneering through every sentence - reminded me of Malfoy from Harry Potter. Sorry guy, that's my honest opinion. Great hard sci-fi but character motivation was a bit weak. As an exploration of self destruction, I don't think author convinced himself, which is kinda nice all things considered. Narrator Ruins a great story. Its not that the narrator has a "british" accent that is not the problem. Its that its an obnoxious distracting type of british accent. It was hard to listen to and took a lot of concentration to absorb the story. Yuck. Hope the next instalment has a different narrator. An interesting and current premise but the characters were generic. The tone of the book appears to be a little dire. Hinting at a darker time after present day that preceded the storyline. I am left thinking that Kyle after reading the book decided to put on this narration accent that is both slow, sharp, full of air. So full of air, in fact, I had to put him on 2x speed to try to forget the horridly negative feeling and tiring voice he was projecting. Surprisingly, I still understood every word. 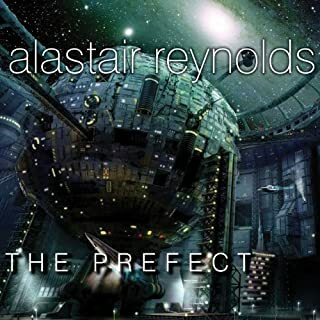 He seems to have a voice talent for characters, doing ok conveying an optimistic and over the top Australian Entrepreneur, a dour tween and the confident Astronaut. Technically Kyle is perfect, but Please Kyle, relax when you do your next reading. The snooty fake upper class impersonation does not make a good voice for a book so full of introspection, description, and general narration. It also does not match with the imagined tone I would put down to the various characters. Surely their internal monologue is simply their own voice? Its hard to say why this accent is more tiring than ten different amateurs reading classics at Librevox. I am only a couple of hours into the reading after five listening attempts and I am not sure I can continue. Maybe the book, in written form, definitely not the audiobook. As others have said, some of the accents were really bad, especially the Australian and Hispanic; to me, the Hispanic accent was so bad that it, at times, bordered on being a racist caricature. Would you be willing to try another one of Kyle McCarley’s performances? 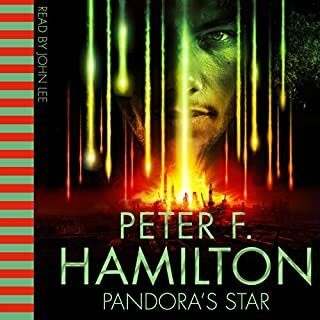 enjoyed the story, struggled with the narrator - posh nasaly accent and mispronounciation of words, plus main character I couldn't figure out the accent, then it turns out he's from where I grew up! 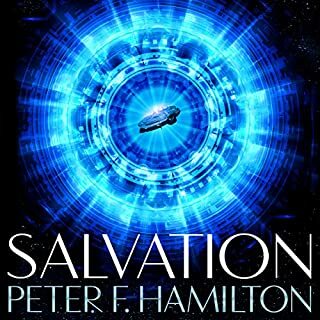 It's an ok story, kind of run-of-the-mill sci-fi characters and a lazy ending. I was expecting more from Baxter. the first half isn't bad. the second is. The first half of the book is very nice. Combining several story arcs that are interesting to follow, and seem like a nice build up, even if a bit heavy on the descriptive side. Then the book finished the story lines quite abruptly, and just goes on with the descriptions. They are very detailed descriptions but they seem to lead nowhere. The story lines don't combine with each other. They are replaced with new stories that don't make much sense - except that they give the author more opportunities to describe stuff. I counted 3 episodes where the narrator describes what is seen outside the window of a moving car. I kept on listening hoping for the stories to come together. They don't. Maybe in the sequel they will, but I won't bother finding out. 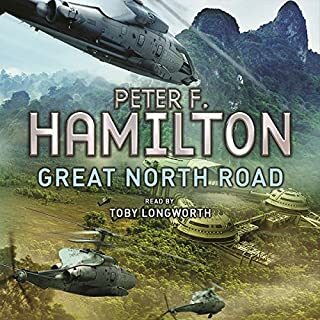 I found the story gripping, and had no problem ploughing through this audiobook to find out what happened next. However, what added an element of strangeness to this was the narrator, Kyle McCarley. Another reviewer here suggests that he may have a "speech impediment". I'm afraid it's much worse than that: he's an American attempting to do an English accent. Unfortunately, I've been able to work out which English accent he's trying to do. He is at least consistent: "hot" sounds like "hawt"; "water" sounds like "wotta"; "marrow" sounds like "merrow"; and "calm" and "phantom" just sound strange; but at least it was like this all the way through. The closest accent I could think of is Received Pronunciation, but this strikes me as an odd choice nowadays, as even the BBC abandoned RP decades ago. A couple of the characters have northern accents, though I found find these neither consistent nor convincing. 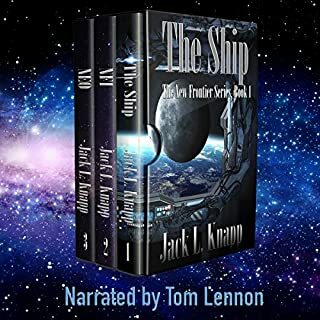 I feel it would have been better for the narrator to have used his native accent, or if an English accent was required, then for an English narrator to have been used. That said, his narration was very clear. But the odd pronunciations did detract from that somewhat. What made the experience of listening to Proxima the most enjoyable? A great story with a scale that would expect from Baxter. 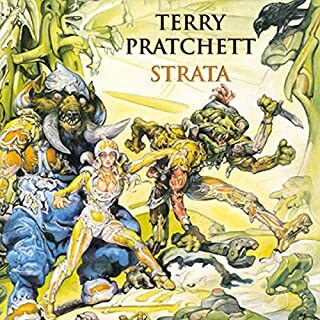 What other book might you compare Proxima to, and why? 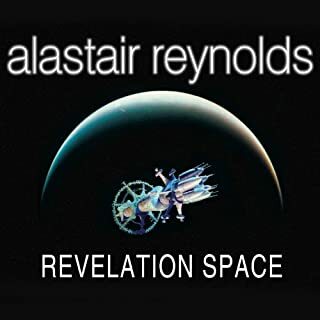 Complicated question, perhaps Olaf Stapleton, or other Stephen Baxter novels. The performer has either a rather peculiar accent or a speech impediment. He seems to have problems with long vowels. It's slightly distracting to hear him mispronounce words such as water, daughter and similar. Don't bother. Way too complex for a reasonable movie version. It's a mystery why Audible (or their partners) contine to employ readers who can't pronounce simple words. Another example would be Cameron Beierle reading the David Eddings' novels. The word quay is pronounced "key" not "kwaii". It's a little thing perhaps but completely destroys any kind of immersion. "God bless inverse square spreadings!" Would you try another book written by Stephen Baxter or narrated by Kyle McCarley? Probably not. There were times when characters launched off into "sermons" on the evils of nuclear war, the comparative evolutionary processes of contrived worlds or some other worthy opinion, all a bit tedious. Did Kyle McCarley do a good job differentiating each of the characters? How? The best way to enjoy the naration was to imagine that in the 23rd century everyone may speak that way. Unfortunately they don't yet. There was an odd array of acsents, but they were different. Was Proxima worth the listening time? Just about. By using General Mcgregor's maxim "God bless inverse square spreadings!" (does anyone really say that stuff? ), by spreading out the story over a large area of space-time I got to the end. Others raive about this story, which clearly suggests I missed the point. So you may happily disregard my review. For me, I am very happy to leave the charaters hanging on the cliff at the end of this book for eternity. Sci-Fi is just not my thing. 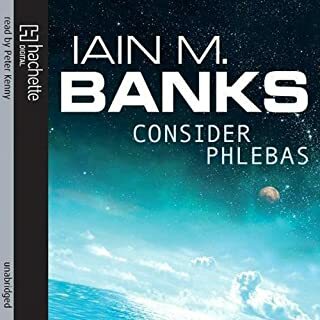 I downloaded this as I had hit a thin patch on Audible. 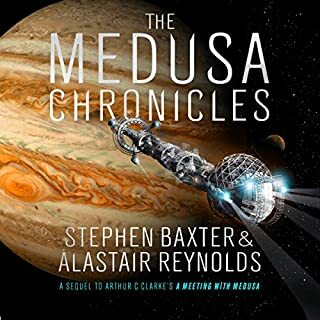 So, Stephen Baxter had a tough job with me, and did it remarkably well. The reason I dislike most SF is because I am a scientist and detest the sloppiness of much of the genre. The author here worked hard to explain the technology he created for his world. I enjoyed the development of the xenobiology, although once the solar flare problem has been overcome the length of time things would have been evolving around a red dwarf would have generated considerably more biodiversity. 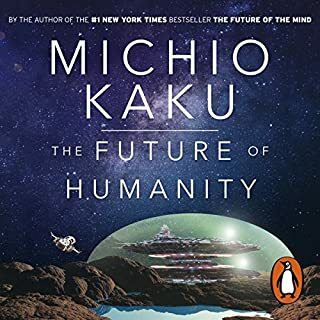 That aside, the book really makes you think hard about the kinds of environments in which advanced biology might thrive. I had hoped Baxter would have made much more of the parallel universe angle that was opened up half way through, but perhaps that sits in a sequel. There have been many comments criticising the narration, and so I was expecting difficulties. I had a very pleasant surprise indeed when I found the timbre and pitch to be very easy to listen to. There are one or two odd pronunciations, but that adds to the other-worldliness of the story. Altogether, a well researched and thoughtful take on a possible future. It's not perfect in either plot or performance, but it is entertaining and thought-provoking. I listened to this intently despite my misgivings about the narrator's RP accent. The story is very strong and well worth a listen though. 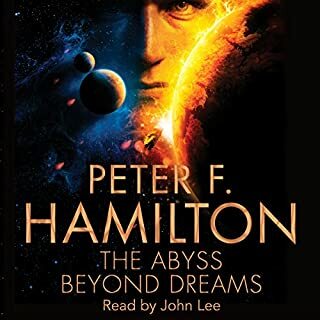 Like all good tales it makes you want more and maybe the narrator actually added to that: there's something whimsical about a universe populated by ex-Home Counties public school boys with the odd American and Cambridge educated Chinese. I also love the idea of AIs that are a bit thick too, even if that wasn't intentional. Overall, a good read. As other reviewers have said the voice actor being American had some struggles pronouncing soft vowel words. His true accent coming through sometimes taking me out of the immersion. However on the whole he did a good job and there was clear distinctions between each character. 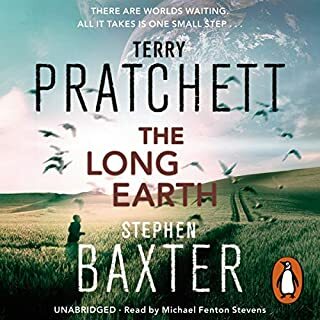 The story as always from Baxter was engaging, word, planetary and Galaxy spanning although I thought he was actually a little light in the science compared to previous books. I have immediately purchased the next book in the series and cannot wait to start. Baxter is always a must read! If you could sum up Proxima in three words, what would they be? Outstanding tho imperfect. 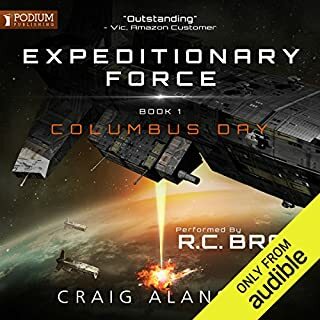 There are aspects of the story that I thought were flawed (like the flawed selection of the colonists, which delivered dramatic tension, but was unlikely to have been the basis in reality. That said, this is Baxter in good form, setting up a bigger story that tips a nod & a wink to some of his favourite themes, but with a fresh re-imaging. There is also a couple of new concepts that, as ever, Baxter is ahead of the game in suggesting. That said, this is very much a taster for the epic sequel. Uri ....He's complex & imperfect & I wanted the books to explore his character further than they did. There are old & new characters in the sequel/conclusion that become very interesting. The reader's accent/pronunciation has been noted as 'not quite right' by several people. There were times when I found his voice quite uncomfortable. 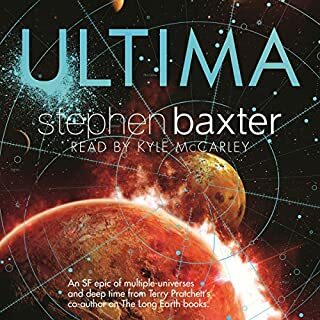 However I would like to give Kyle due credit, in that his voice seemed to fit so much better in the epic follow up book, 'Ultima'. I can't work out if this is because I adjusted, or he upped his game, or because the wider cast of characters & scenario's in the sequel better matched his voice. Probably a little of each of these. In an uncaring universe, time is running out. In a lethal multiverse, time is running out. Actually it very much feels like it should be a boxed set. You could easily make three seasons out of the two books. If it got past the pilot, and if it built an audience in Season 1 (the end of this book) there is potential for Baxter & a team of writers to expand this to up to 7 or more seasons, as the story could actually be enhanced by the addition of revisions to include other intermediate 'verses. And just to be grandiose, there is even potential to write beyond the end of the two books....tho it is important to note that both books do have appropriate and self-contained endings. 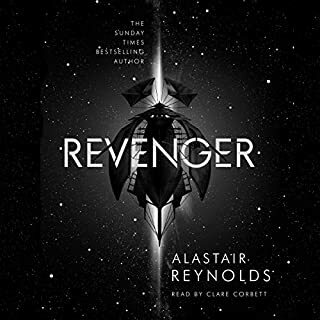 I didn't like the narrator but eventually accepted if not fully warmed to the voice. The story was a slow start but I found I wasn't able to put down. Defiantly want to know more and to read more from the author. As to the story it was rich and beautifully woven . Plenty to revisit and develop in subsequent books. Baxters shoots for the epic ..........and misses! 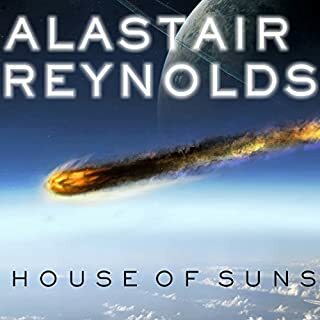 I bought this based upon Baxters collaborations with the late Arthur C. Clarke and after reading a number of reviews regarding as to which of Baxters books are his best. What I thought I was going to get was an unfolding story of planet/galaxy/timeline hopping via portals built by some ancient race, purpose unknown. What I actually got was a long winded average story with seemingly no real point. His storylines' base premise of portals is nothing new in sci-fi and he adds nothing to it's use as an enabling technology. 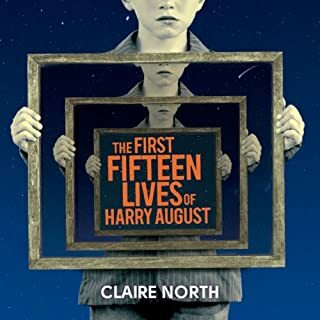 The characters are flat, too stereotypical and lead tedious lives with little or no jeapordy but plenty of explanatory, discursive prose spaced between the very few large, story changing events. I really wanted to engage with the main characters but to be honest they all fulfil very predictable functions and are not interesting enough in either character or deed. 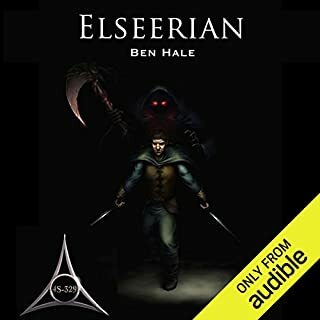 The narration, like a number of reviewers have already stated is a bit peculiar with a form of English pronunciation (as a Brit myself) that I've never heard before and with only about 3 character voices between male, female and child. If you are a fan of the large rambling Lord of the Rings style story then you may think this is for you - but beware! Lord of the Rings was well written with interesting characters and a good mix of discovery and jeapordy, all of which are sadly lacking in this story. I bought this book and the follow up Ultima at the same time so I'm really hoping the pace, story, characters, discovery etc. etc. really pick up in the follow up or I will not be reading Baxter again.